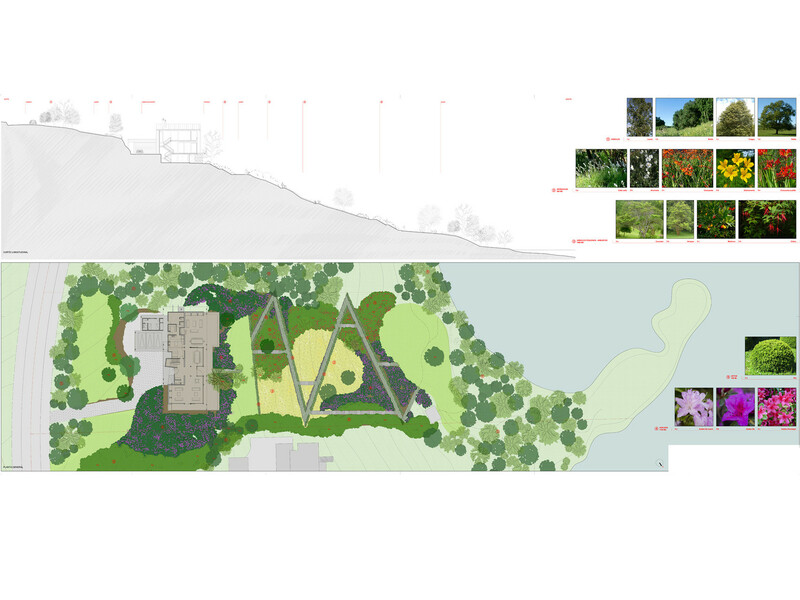 Description The garden is the settlement of the slope between the house, on the hillside, and the lake beach. Eliminating some isolated worthless trees a space for the introduction of great coloured masses has been created, with some evergreens, like azaleas, and some grasses. A slow walk with some deviations allows to appreciate the alternation of forest and meadow, and the continuous interchange of the blooms during the year. At the border of the estate little trees and bushes blend with the native forest forming a visual barrier from the outside.